KANATA, ON, May 24, 2013 – John Kealey, Agency Manager and staff from the Kanata office of Allstate Insurance Company of a Canada presented National Capital Area Crime Stoppers President, Wayne Bissett with a cheque for $1,000.00. Mr. Kealey quoted “Allstate is happy to help with the great work Crime Stoppers does. 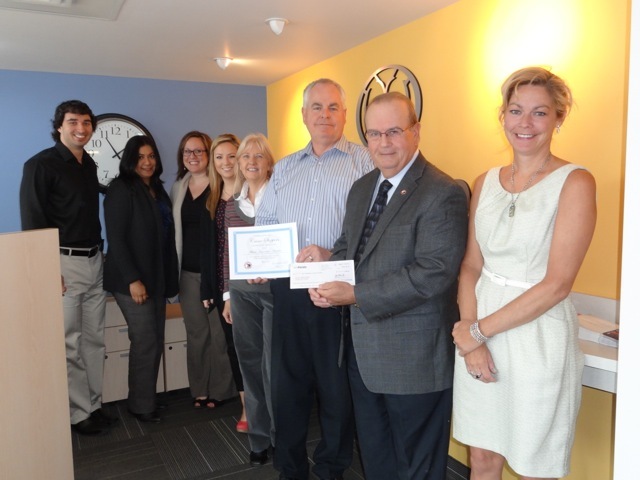 Crime Stoppers presented Allstate with a certificate of thanks.